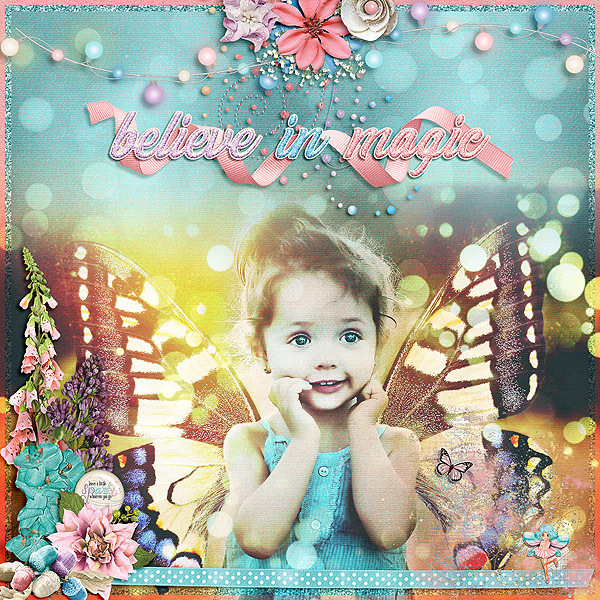 If you want to keep the magic of Christmas alive all year-round, you'll want to pick up the magical charm of "Fairy Dust," new digital scrapbook collection from JoCee Designs. 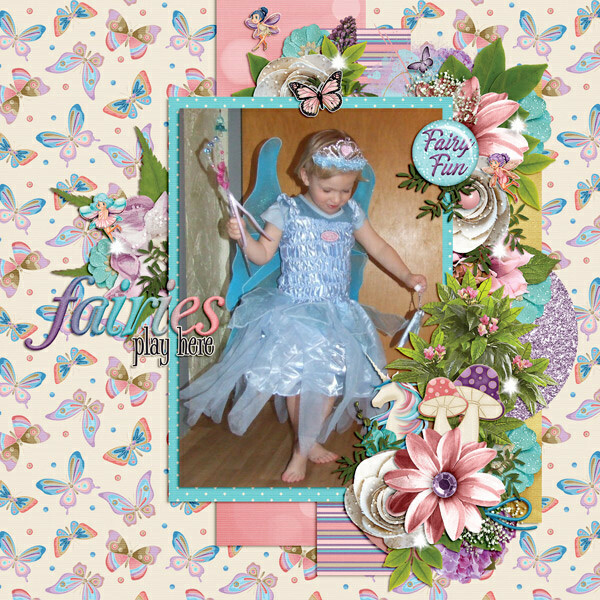 The dainty pastel palette reminds you of the tinkle of fairy laughter - so faint, you wonder if you even hear it. 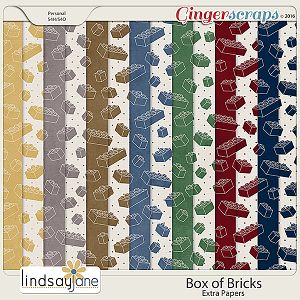 Loaded with 36 papers (plain, glitter and patterns), 6 alphas (all but one including upper and lower case) and 90 elements, this beautiful collection will be a great addition to your wintertime stash, adding more color, but still with the sparkle of new snow. 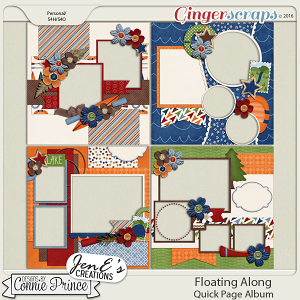 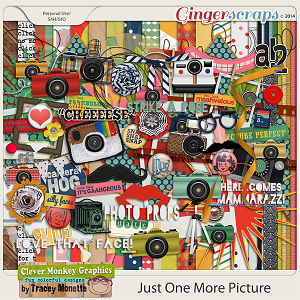 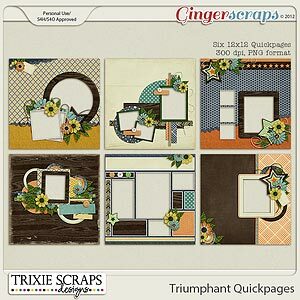 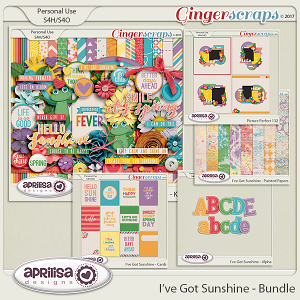 In addition, you can make your layouts even more uniquely yours with the 4 clusters, 4 "splats", 12 flairs, 10 glitters, 3-word art titles and 8 word strips. 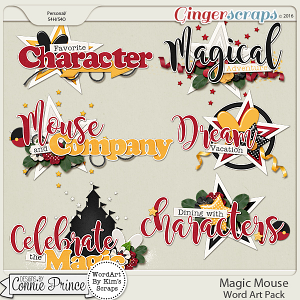 Pick up the bundle or the individual packs today so you'll be ready to capture the magic of a family gathering or children playing in the snow. 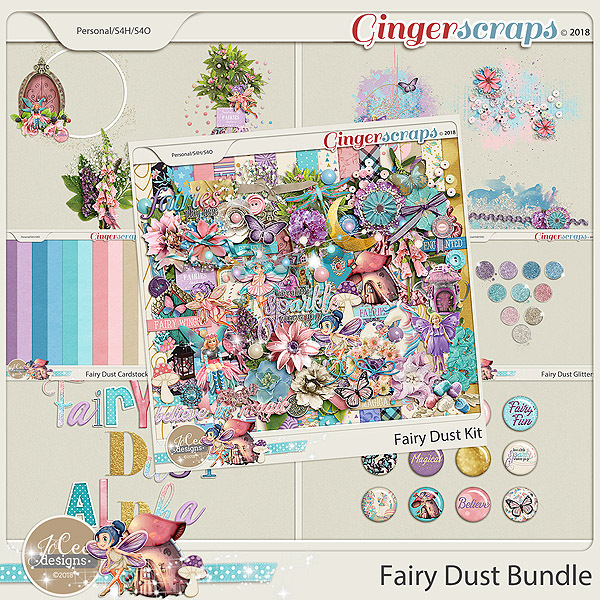 Fairy Dust Cardstocks, Fairy Dust Glitters, Fairy Dust Alphas, Fairy Dust Flairs, Fairy Dust Clusters, Fairy Dust Splats and Fairy Dust Kit.